MS can cause a heightened sense of smell.Hyperosmia refers to an abnormally heightened sense of smell or abnormal sensitivity to odors. On the website PatientsLikeMe, where some 500,000 people have shared their personal experiences of living with a chronic condition, only about 120 of them report hyperosmia. Many of those reporting it have multiple sclerosis (MS), while others have ALS (amyotrophic lateral sclerosis, or Lou Gehrig’s disease) or migraine. Leave it to me to be in such a small minority. Far more people with MS report anosmia — a lack of or reduction in the sense of smell — and research seems to lend credence to these reports. For me, it’s like my sniffer is on overdrive. Particularly when it comes to artificial or “refined” scents, I am overwhelmed to the point of not being able to function. Laundry detergents (I can smell it off someone’s washing on the line three houses down and across the lane), soaps, “air fresheners,” and the like have been known to induce migraine and general malaise. 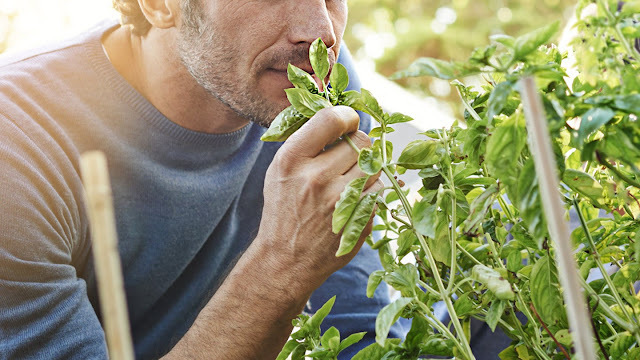 Natural smells, like flowers in the garden (or any of the neighbors’ gardens), cooking smells (from down the road), or the scent of the sea from miles away are strong, indeed, but don’t have the same adverse effect as those fake or overly enhanced odors do. But still, I can smell something from another room as if it’s on the desk in front of me. I experience the smell of cut lumber from the construction site down the boreen (Irish for “country lane”) as if I’m holding the saw myself. Slurry (semiliquid manure) being spread on the hay fields miles away … well, I suppose all of us can smell that! We have changed the products we use in the house either to be unscented or to contain only natural oils as fragrance (although not all of those are as “natural” as they advertise). We use white vinegar to do much of the household cleaning. As much as possible, we avoid bringing powerful smells into the house. But that’s just home. I go to the theater much less frequently than I’d like because I can smell soaps, shampoos, makeup … you name it. Even peoples’ deodorant can be an overpowering smell and, in a closed space, forget about it! Is There Anybody Else Like Me Out There? Like many others I’ve heard from, this state of being abnormal in my abnormality is a little disheartening. Sure people with MS have issues with smells, but why can’t mine be the same “issues” as everyone else’s? I just want to be normal in my being not normal! As about half of the people with MS are thought to have reduced sensitivity to smells, I’ll not expect too many of you to be able to relate. It is nice, however, when someone else can say “ME TOO!” now and then. It feels much less lonely. So if you have MS-related hyperosmia, you can know you’re not alone. I smell what you’re cookin’.